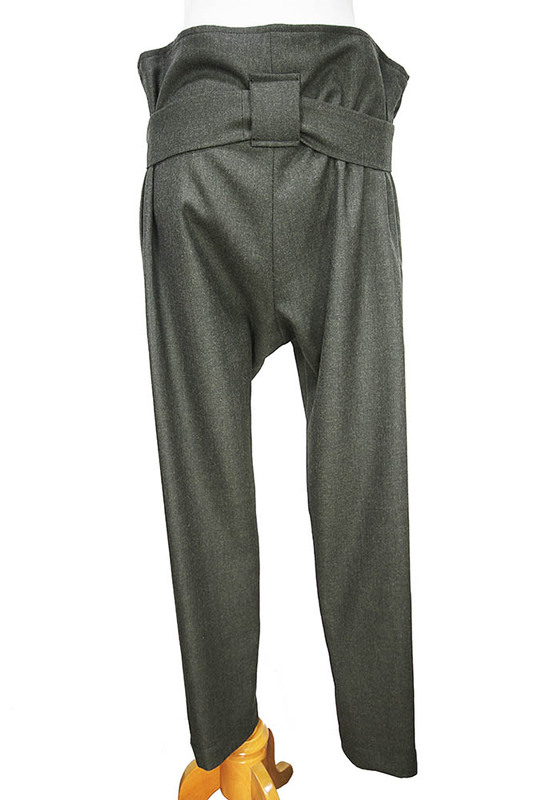 Vivienne Westwood Anglomania 'New Kung Fu' Trousers in virgin wool. Beautiful trousers with oversized waist to be pulled in using fabric belt and allowed to flare at waist. Low and wide belt loops, fabric belt. 2 side pockets. Tapering legs. These trousers are very much larger on the waist than the size would be normally, as they are designed to be pulled in to achieve the best result. Really special and they match the jacket in the same fabric to form a wonderful suit!